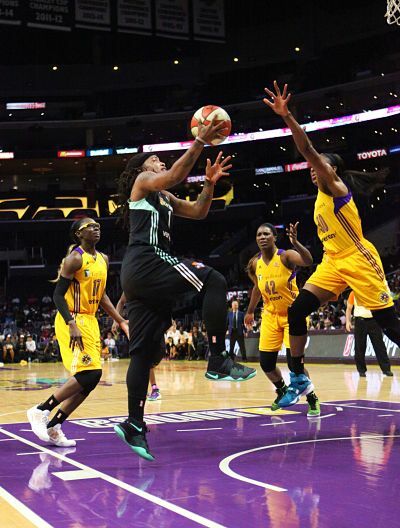 Jantel Lavender drives by Kiah Stokes. Photo by J. Johnson. Los Angeles, Calif. – Four double-digit scorers led the Los Angeles Sparks past the New York Liberty Tuesday, 100-77, en route to an 8-0 start. Jantel Lavender came off the bench for 22 points and Kristi Toliver added 19, of which 15 came in the second half. 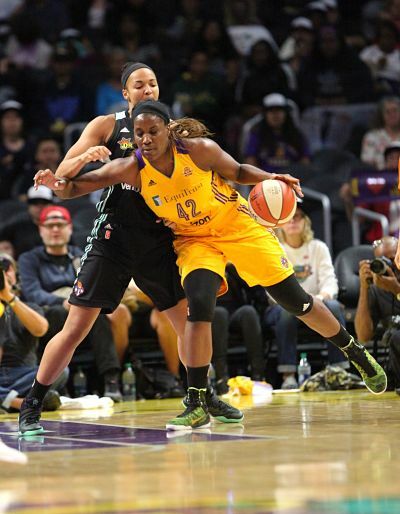 Nneka Ogwumike had 18 points and 10 rebounds, and Essence Carson put up 15 points. The Sparks are one win shy of tying a franchise record for most consecutive wins, set in both 2001 and 2003. The hosts maintained a small lead throughout the first quarter, but broke it open in the second, outscoring the visitors, 24-15. They took a 51-38 advantage into the break. Los Angeles shot a blistering 60 percent in the third period, while clamping down on defense and limiting New York to 33 percent shooting and forcing seven turnovers. They lead 82-52 going into the final quarter. The Sparks emptied the bench over the last several minutes of the game, but still maintained up to a 32-point lead. 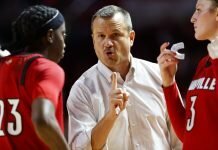 They shot a season-high 41 field goals on the night, for 55.4 percent, and had a 30-9 assist-to-turnover ratio. Shavonte Zellous puts up two for the Liberty. Photo by J. Johnson. 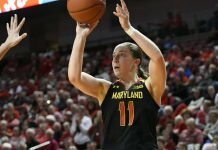 Liberty center Tina Charles and guard Sugar Rodgers averaged 24 and 16 points per game, respectively, going into the game, but were held to 7 and 8 on the night. Shavonte Zellous lead the team with 12 points, while Kiah Stokes added 11. Los Angeles coach Brian Agler was especially pleased about his team’s defense, and their assists. The Sparks have fielded many strong teams the last several years, but have been largely inconsistent. Their strong start this season has caught many by surprise. Ogwumike said every team member is dialed in. Ogwumike said the Sparks are working together and care only about the win. 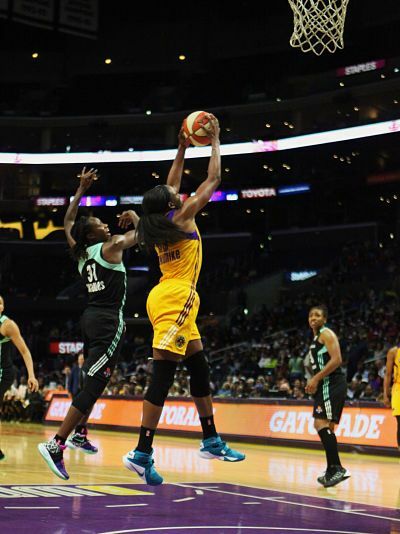 Nneka Ogwumike snags a rebound for the Sparks. Photo by J. Johnson. Carson said Sparks players are great both on and off the court. Zellous said Los Angeles started the game strong and kept up the pressure. Lavender’s 22 points was her season high. 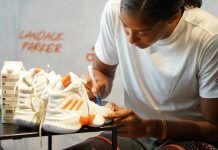 After leading the team early last season in the absence of forward Candace Parker, she became a reserve this year when Los Angeles signed veteran Carson. Agler said Lavender has dealt with the change gracefully. Carson said the Sparks are taking one game at a time and not looking too far ahead. 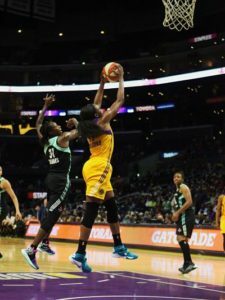 Ogwumike agreed, and said they still have much more in the tank. The Sparks head to Dallas Saturday to take on the Wings.